My Memphis Mommy: Hard Rock Cafe Memphis Lil' Rocker Tuesdays! Hard Rock Cafe Memphis Lil' Rocker Tuesdays! Looking for somewhere different to eat with the family? 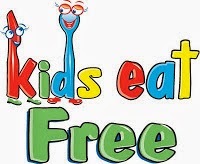 Every Tuesday The Hard Rock on Beale Street has a Kids Eat Free Night. Special events such as live music, mascot appearances, activities and more, just for kids!